'Extraordinary. It is about death, but I can think of few books which have such life. It shows us what love is.' 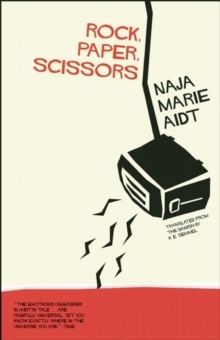 Max Porter, author of Grief is the Thing With Feathers and Lanny'There is no one quite like Naja Marie Aidt' Valeria Luiselli'Devastating, angry, challenging, fragmented and filled with the beautiful hope that the love we have for people continues into the world even after they're gone.' Culturefly'Fragmented, poetic, informative and truthful, Aidt faces the greatest loss we can ever know with all the force of great elegy writers like Anne Carson and Denise Riley. Essential.' Polly Clark, author of Larchfield and Tiger_______"I raise my glass to my eldest son. His pregnant wife and daughter are sleeping above us. Outside, the March evening is cold and clear. 'To life!' I say as the glasses clink with a delicate and pleasing sound. My mother says something to the dog. Then the phone rings. We don't answer it. Who could be calling so late on a Saturday evening?" 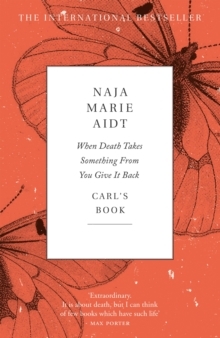 In March 2015, Naja Marie Aidt's 25-year-old son, Carl, died in a tragic accident. 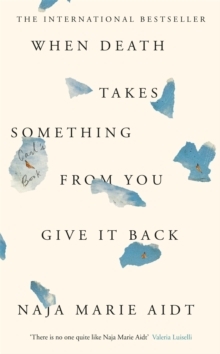 When Death Takes Something From You Give It Back is about losing a child. It is about formulating a vocabulary to express the deepest kind of pain. 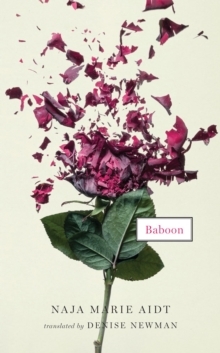 And it's about finding a way to write about a reality invaded by grief, lessened by loss. Faced with the sudden emptiness of language, Naja finds solace in the anguish of Joan Didion, Nick Cave, C.S. Lewis, Mallarme, Plato and other writers who have suffered the deadening impact of loss. 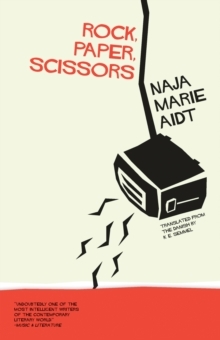 Their torment suffuses with her own as Naja wrestles with words and contests their capacity to speak for the depths of her sorrow. This palimpsest of mourning enables Naja to turn over the pathetic, precious transience of existence and articulates her greatest fear: to forget. The insistent compulsion to reconstruct the harrowing aftermath of Carl's death keeps him painfully present, while fragmented memories, journal entries and poetry inch her closer to piecing Carl's life together.